Microsoft has formally announced that mainstream support for Windows 7 ended on 13 January 2015. Of course January 2015 will be much sooner than many people will have expected, especially the high profile attention given to the end of Windows XP support 13 years after release. By comparison Windows 7 is less than five years old. That said there is good reason for Microsoft’s apparent lack of warning in this case: it is talking about two different kinds of support. On 13 January 2015 Windows 7’s ‘Mainstream Support’ came to an end. That means no new Service Packs or features will be released. This is wholly different from the end of ‘Extended Support’ which is what happened to Windows XP on 8 April 2014. Extended Support is the big one: no more security patches when hackers find holes, no performance improvements, nothing – the OS is effectively dead. Windows 7 Extended Support will not end until 14 January 2020. For comparison Windows XP Mainstream Support ended back on 8 April 2009. 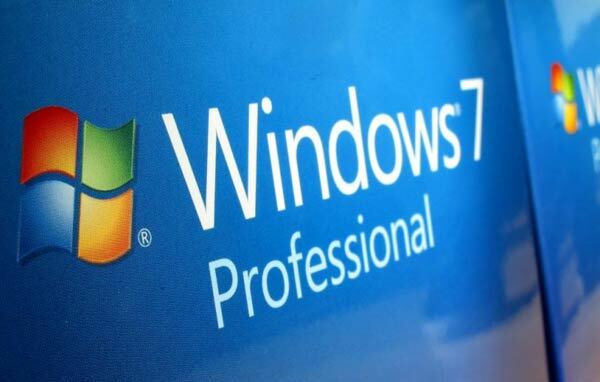 What Windows 7 users must know, however, is that they have to be running Windows 7 Service Pack 1 for these days to apply. Support for Windows 7 RTM (Released to Manufacturing – the original release software) was stopped back on 9 April 2013 – so if for some reason you aren’t keeping Windows 7 up to date do so immediately. For the record those who still want to buy Windows 7 instead of Windows 8 will also need to be snappy. Sales of Windows 7 Home Basic, Home Premium and Ultimate formally ended on 31 October 2014, though a date to end sales of Windows 7 Professional has yet to be established. Interestingly Microsoft has also revealed end of Mainstream Support for a number of its other platforms including Windows Server 2008, Windows Storage Server 2008, Exchange Server 2010, Windows CE 5.0 and Windows Phone 7.8. The last of these is most interesting with Mainstream Support ending on 9 September 2014. Extended Support will then continue for another 18 months. It is worth pointing out that in these situations Microsoft cannot win. Some argue support shouldn’t drag on so long so Microsoft can dedicate more resources to newer platforms, while others have been very hostile to the company daring to end XP support after nearly 13 years. Then again there is an easy solution to please both sides: release a brilliant windows 10.